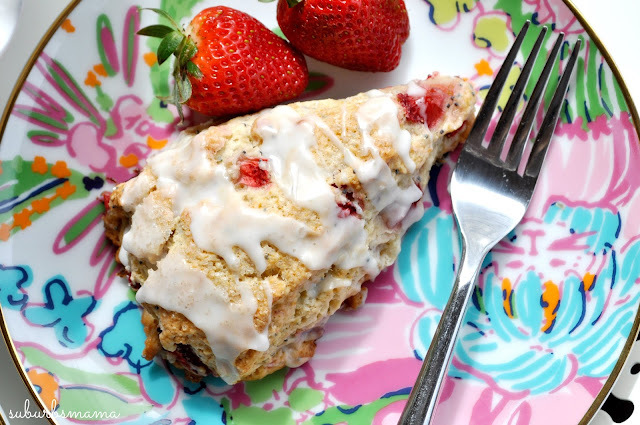 These scones are perfect! They are moist and full of flavor. I don't know if you know if you know this, but scones are incredibly easy to make, like super easy. If you don't have a food processor to cut the butter, then just freeze your butter and grate it with your cheese grater. 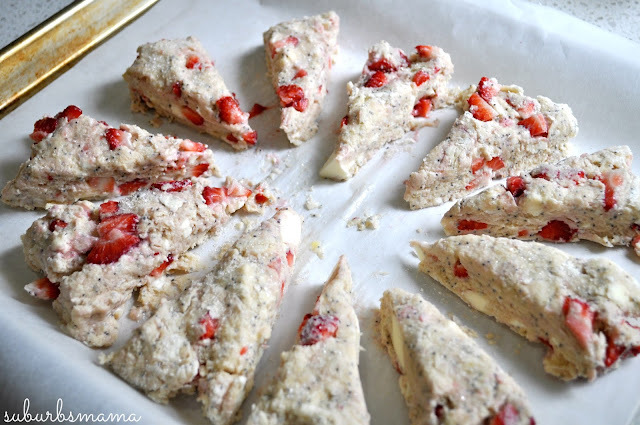 You can whip these up in 30 minutes and have fresh scones for breakfast or an afternoon tea. Preheat oven to 400°F. Line a large baking sheet with parchment paper or a silicone baking mat. In a food processor, pulse the flour, sugar, baking powder, salt, and poppy seeds. Add the lemon zest and pulse again. Add the cold cubed butter and pulse until the butter is pea sized. Dump the flour mixture into a medium sized bowl. In a small bowl or glass measuring cup, whisk the cream, egg, and vanilla together. Drizzle it over the flour mixture and then toss the mixture together with a rubber spatula until everything appears moistened. Slowly and gently fold in the strawberries. Try your best to not overwork the dough at any point. Work the dough into a ball and transfer to the prepared baking pan. Press into a neat 8″ disc and cut into equal wedges with a knife. Top with a sprinkle of coarse sugar. Bake for 25 minutes or until lightly golden and cooked through. Remove from the oven and allow to cool for a few minutes. 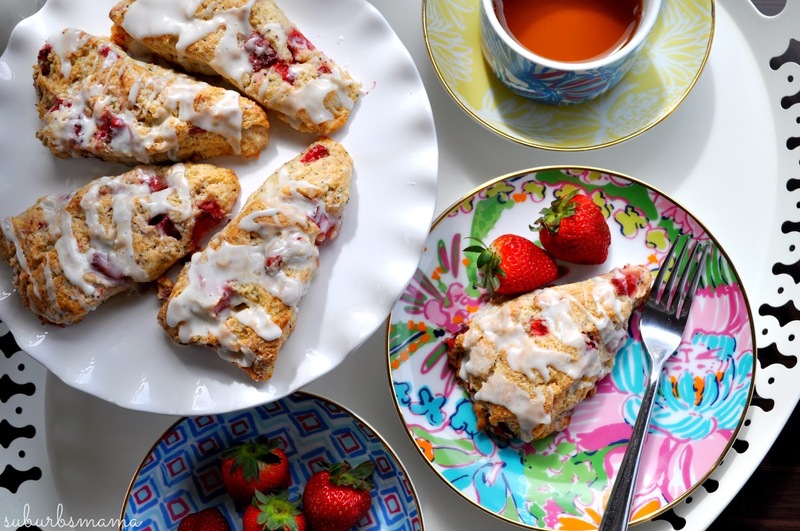 While the scones are cooling, whisk together the glaze ingredients until smooth. Drizzle over warm scones.